Written by Amy Dowset, the first place of the Askpetersen Essay Writing Contest. The topic: “Why All of Us Need a Best Friend”. Seneca gave us one of the most accurate definitions of friendship: it’s an ability to understand and be understood. It is a two-way relationship based on mutual respect. When it is pure, faithful, honest, constant, and true, it remains for life. The ability to be a true friend to someone is one of the greatest virtues a human can possess. This quality is the foundation of an ethical and pure soul. We all need a best friend not only because they will be there for us whenever we need them, but also because this mutual relationship makes us happier and better persons. True friends are there for us whenever we need them. Today, in the era of being connected, we need best friends more than ever. We constantly form new connections via Facebook, Twitter, LinkedIn, and forums. On some social media networks, these people are called friends. It seems like, in the era of globalization and information exchange, we’ve lost the real meaning of the word friendship. Social relations are multidimensional. We embrace values and norms that correspond to the rhythm imposed by modern life. We are changing the moral of friendship, and we need to go back to its roots. A true friend is there when we’re in trouble, and that being there is not measured by likes, comments and shares. It’s not measured with selfies shared on Instagram. A friend is there to share our moments of sadness and happiness. That support can be expressed through texts and Facebook messages, and it still works when it’s real. We feel that connected with our friends because we attract people with similar interests and virtues. In a way, friendship is a relationship between two similar souls, especially when we form the bond in adulthood. When we share everything with those chosen ones in our lives, we become happier. A research study published in the Neuropsychopharmacology journal (2016)1, showed that bonding relieves stress. The research was conducted on rats. The researchers paired rats together in cages for a week and put each one of them in isolation for three hours. When they were brought together again, the rats showed friendlier attitude between each other than before they were isolated. Elizabeth Kirby, one of the authors of the paper, explained: “We can’t speak rat, but we think the rats can’t wait to tell their friend that some weird people shut them in a room”. Similarly to rats, people need support from their friends when they are going through stress. Interests and virtues connect them, but so do suffering and happiness. Ultimately, each of us need a best friend because they make us better persons. They make our lives better, but they also challenge our character. When they are depressed, nervous or stressed out, they can easily pour out their anger on us – their best friends. That’s when we’re challenged to stay strong and true to our commitment. We may be offended by our friends, but we still listen and support. The moral of friendship is consistent: it has to be truthful and honest. It is a mutual agreement regarding rights and wrongs. When we stay true to those virtues, our souls expand. We become aware of the true values of friendships, which are not conditioned by the attention we get on social media. We love, support, and encourage. Real friendships reflect on our character. Our first instinct when making friendships is to get something in return. We are willing to give as long as the friend values our efforts. 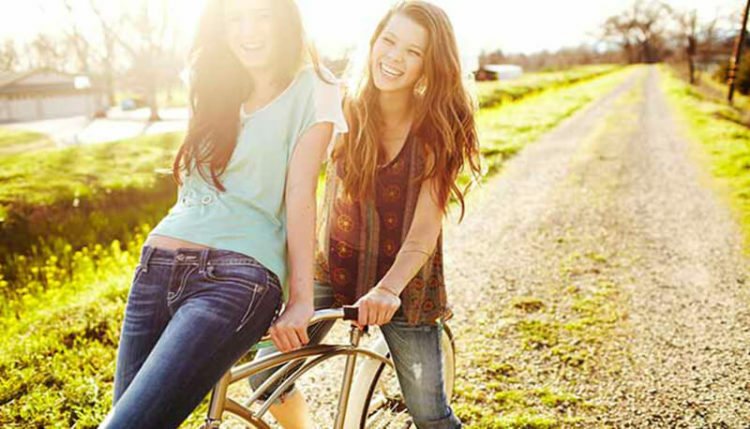 We need a best friend to share our happiness and misery, and support us through all experiences we go through. We find the common ground with those people, and we form a mutual relationship of love and respect. However, the value of friendship goes beyond making favors to one another. A true friend makes us happier, but the attitude we have towards them also makes us better persons. When we are committed to a friend, we become an impersonation of good. We don’t hate, we don’t judge, and we don’t place obstacles. We become a source of unlimited support and encouragement. That attitude is reflected upon all aspects of our lives. That’s why we need friends – not only because we’re never alone when we have them, but also because they are the stepping stone to our personal growth.